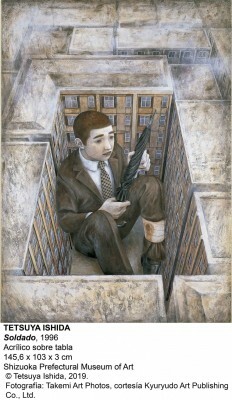 Tetsuya Ishida (nacido en junio de 1973, Shizuoka) fue un pintor japonés, muerto en 2005 por posible suicidio . Tetsuya Ishida pintó escenas de vida común en Japón, pero con los protagonistas siempre atrapados en un cuerpo similar a una máquina o tratado como producto de una cadena de producción. 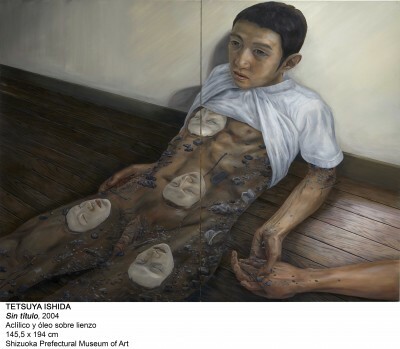 El 26 de noviembre de 2006, un cuadro de Ishida, "Untitled" 2001, se vendió en una subasta de Christie's en Hong Kong "Asian Contemporary Art" por 780.000 HKD. 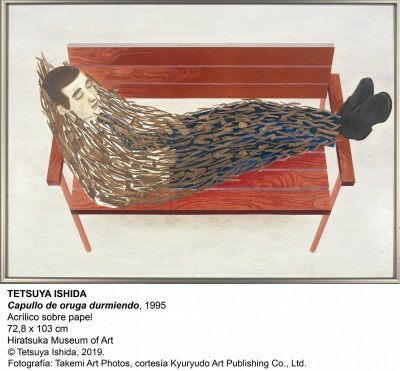 Tetsuya Ishida came of age as a painter during Japan’s “lost decade”—a time of nationwide economic recession that lasted through the 1990s. 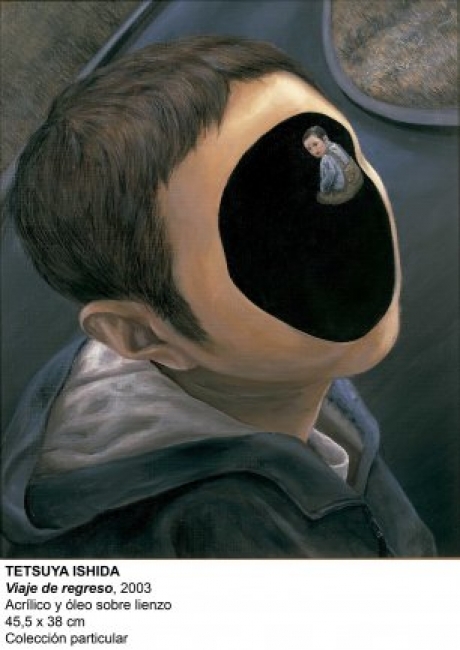 In his afflictive paintings, he captured the feelings of hopelessness, claustrophobia, and emotional isolation that burdened him and dominated Japanese society. 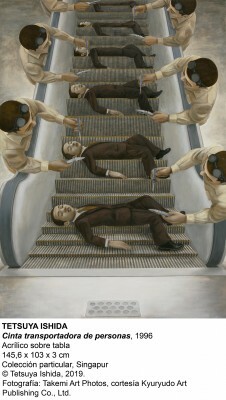 From his early career until his untimely death in 2005, Ishida provided vivid allegories of the challenges to Japanese life and morale in paintings and graphic works charged with dark Orwellian absurdity. 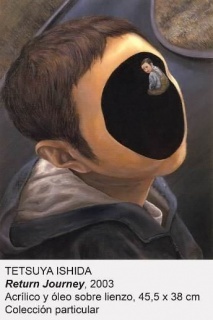 Ishida was born in 1973 in Yaizu, Japan, and died in 2005 in Tokyo. He graduated in 1996 from Musashino Art University, Tokyo. 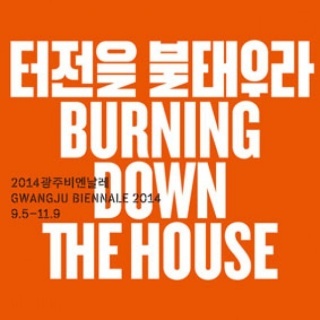 Solo exhibitions include The person who was not able to fly, Sunpu Museum, Shizuoka, Japan (2006); Shizuoka Prefectural Museum of Art, Japan (2007); Yaizu City Culture Center, Japan (2007); Nerima Art Museum, Tokyo (2008); Note of Tetsuya Ishida, Ashikaga Museum of Art, Japan (2013, traveled to Hiratsuka Museum of Art, Japan; Tonami Art Museum, Japan; and Shizuoka Prefectural Museum of Art, Japan, through 2015); Notes, Evidence of Dreams, Tonami Art Museum, Japan (2014); and Saving the World with a Brushstroke, Asian Art Museum, San Francisco (2014).